In this article, we highlight the 50 most affordable small Catholic colleges based on Roman Catholic religious affiliation, maximum enrollment of 2,000 students, and average net price. The majority of schools listed below apply strict adherence to Catholic teaching and commitment to higher education. Many of the schools maintain ties to the Roman Catholic Church and local Dioceses, consistently upholding Catholic tradition. Many of the schools listed are private and liberal arts-based institutions, dedicated to Catholic teachings. Interestingly, some of the most affordable schools listed were also the most dedicated to Catholic seminary and Catholic curricula. In fact, the most affordable Catholic colleges listed prepare students to work within the Catholic Church as missionaries or service providers. The schools listed combine high educational standards, dedication to the Church, and affordable tuition options. More than 20 schools featured offer a net price of less than $15,000 per year. If you want to maintain your Catholic faith, delve deep into the roots of seminarian tradition, and spend the equivalent of no more than $1,250 per month on higher education, review the compiled list for plentiful options. • Accreditation – Only accredited schools offering associate’s, bachelor’s, or master’s degree programs were analyzed. Some institutions offered certifications in addition to degrees. • Affiliation – Roman Catholic religious affiliation. • Affordability – The average net price for full-time beginning students as listed by NCES Navigator (with the most current year listed). • Maximum enrollment – 2,000 or fewer undergraduate students. After gathering a list of schools meeting these criteria, we sorted them in order of affordability based on the most recently published average net price for full-time beginning students, as listed by the U.S. Department of Education’s Institute of Education Science College Navigator. According to College Navigator, the average net price is for full-time undergraduate students who were awarded grant or scholarship aid from federal, state, or local government agencies, or the institution itself. A beginning student is defined as one who is entering higher education for the first time. Since the net price may not reflect certain program fees and costs, it is important to contact the institution directly to obtain the most recent tuition rate. Founded by the Sisters of Mercy and located minutes from Aksarben Village in Omaha, the College of Saint Mary is an all-women’s college that thrives on assisting students to develop leadership skills and career fulfillment. U.S. News & World Report ranks College of Saint Mary 69th among Best Regional Universities in the Midwest, and the school’s Occupational Therapy program ranks 54th among other therapeutic programs. The Higher Learning Commission accredits the institution, while additional programs and departments are also accredited. The College holds memberships in the National Coalition of Women’s Colleges, Association of Catholic Colleges and Universities, and Council for Independent Colleges. Female students looking for a top Catholic college should take a good look at the College of Saint Mary. Established in 1961, St. Thomas University has roots that trace back to 1946 and the Universidad Catolica de Santo Tomas de Villanueva in Havana, Cuba. Lush woods and a monastery occupy the campus in Miami Gardens, giving it an enchanted feel. The private institution has just over 1,000 students populating its 140-acre campus. U.S. News & World Report ranks St. Thomas University 65th among the top Regional Universities in the South and 27th among Best Colleges for Veterans. The school is a member of the National Association of Intercollegiate Athletics. The school’s athletics teams, the Bobcats, are recognized in a variety of sports. The College of Saint Elizabeth is a women’s four-year liberal arts institution located in Morristown, New Jersey. Founded in 1899 by the Sisters of Charity of Saint Elizabeth, the school is one of the first Catholic colleges to award degrees to women. The college is small, made up of eight buildings, but the campus extends into Florham Park, a neighboring municipality. U.S. News & World Report ranks the private college 87th among Best Regional Universities in the North in 2015. The school has also been ranked 13th for Best Online Graduate Criminal Justice Programs and 31st for Best Colleges for Veterans. Established in 1954, the private and coed Roman Catholic university of Wheeling Jesuit is located in Wheeling, West Virginia, and is among the 28 members of the Association of Jesuit Colleges and Universities. Princeton Review gives Wheeling Jesuit University a selectivity score of 81 out of 100, and Forbes ranks the school as one of the top 100 Best Value Colleges in the country. In 2015, U.S. News and World Report ranked Wheeling 11th among the Best Regional Colleges in the South and 3rd among Best Colleges for Veterans. The school’s online programs and graduate nursing and physical therapy schools continue to rank year after year as among the best in the country. Students seeking a Jesuit education at a top Catholic university will want to consider Wheeling. With over thirty student life clubs and organizations, Notre Dame College emphasizes engagement among its 2,200-plus-student body. Notre Dame is a fully accredited institution, with program approvals and accreditation from The Higher Learning Commission of North Central Association of Colleges and Schools. Recognized as a Catholic institution, the school operates under the tradition of the Sisters of Notre Dame, to embrace global responsibility and promote diversity. U.S. News and World Report ranks Notre Dame College as the 59th Best Regional College in the Midwest. The school was established in 1922, and today boasts an 88.1 acceptance rate. Located in the heart of Des Moines, Iowa, Mercy College of Health Sciences was established in 1899 by the Sisters of Mercy. The school evolved out of the hospital training school and the downtown campus was officially open in 1995. Programs at Mercy College of Health Sciences include certificates, associate degrees, and select bachelor degrees in a variety of health science studies. Health Care Administration, Physical Therapy Assistant, and Registered Nurse studies are among the top programs at the school. The Higher Learning Commission accredits the institution, and 11 additional accrediting bodies maintain the multiple programs offered at the college. 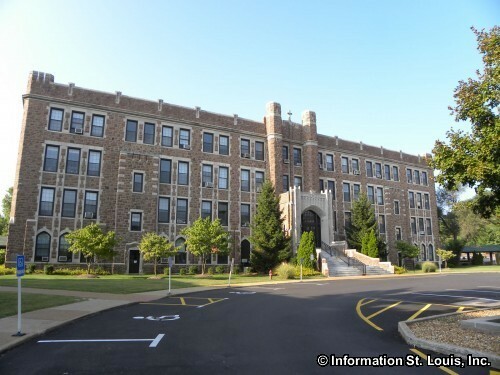 The co-educational, liberal arts affiliated Fontbonne University is a small and affordable college with Roman Catholic affiliation through the Sisters of St. Joseph of Carondelet. Undergraduate enrollment is approximately 2,000 students, offering small class sizes and direct contact with faculty. The school was established in 1923 and maintains its motto, Virtue and Knowledge, as the backbone of the school’s educational offerings. U.S. News and World Report ranks Fontbonne University as the 109th Best College among Regional Universities in the Midwest. The school is affiliated with the Council of Independent Colleges and maintains membership criteria required by the Council. Programs are accredited and maintained by nationally recognized accreditors. Located in Fort Wayne, Indiana, the University of Saint Francis is a private, liberal arts college with ties to the Roman Catholic Church. The school enrolls 1,800-plus undergraduate students, with the majority from Indiana and surrounding states. U.S. News and World Report ranks Saint Francis 69th among the Best Regional Universities in the Midwest. U.S. News and World Report also rank the school’s graduate programs, specifically the nursing school and physician assistant program. The school is affiliated with the Catholic Church Sisters of St. Francis of Perpetual Adoration and has thirteen NAIA athletic teams. Mercy College of Ohio was founded in 1917 by the Sisters of Mercy and was formerly known as the Mercy College of Northwest Ohio. The Higher Learning Commission of the North Central Association of Colleges and Schools accredits the institution. The Catholic college focuses on educating and inspiring students pursuing healthcare occupations. Global awareness and humanitarian efforts are of primary focus. The school is authorized by the Ohio Board of Regents, which maintains curriculum and programming for a variety of bachelor degree programs. The student population is approximately 86 percent female, with an average student age of 28 years old. University of St. Francis is recognized as one of the Best Regional Universities in the Midwest. U.S. News and World Report ranks the university 39th with respect to indicators of academic excellence, broad scope of degree options, and other methodology. The school is ranked 17th among the Best Colleges for Veterans, and its online graduate nursing program is ranked 61st. The Higher Learning Commission of the North Central Association of Colleges and Schools accredits the institution, and the school is affiliated with a number of program accreditations. Campus size at this top Catholic university spans over 24 acres in the scenic city of Joliet, offering expansive green spaces. 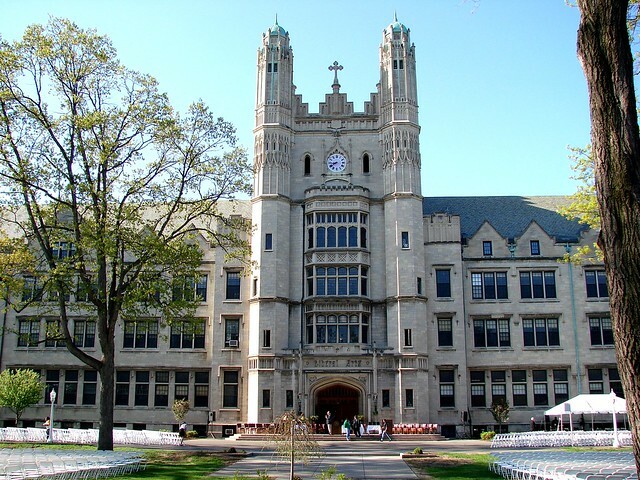 Founded in 1908 and operated by the Sisters of Mercy, Georgian Court University is a private, Roman Catholic college located in Lakewood Township, New Jersey. The university is situated on the former winter estate of railroad tycoon, Jay Gould and his son, George Jay Gould. U.S. News and World Report ranks Georgian Court University 125th among the Best Regional Universities in the North. The schools was ranked 46th among Best Colleges for Veterans in 2015 by U.S. News and World Report. Princeton Review also recognizes Georgian Court among top schools with theology concentrations. A large portion of the student body commutes to campus from outside the Lakewood area. Located in Merrimack, New Hampshire, Thomas More College of Liberal Arts was established in 1978 and is a private, classical education college that follows the Roman Catholic learning tradition. The New England Association of Schools and Colleges accredits the college. Students attending Thomas More College of Liberal Arts earn a Bachelor of Arts degree in Liberal Arts. There is no major concentration, but curriculum covers literature, philosophy, and political science. Part of the program includes a year spent in Rome, Italy, which typically takes place during the second year. In recent years, the school implemented practical skills in art and music as part of the program. The private liberal arts Roman Catholic College of St. Joseph is nestled in the wooded land of Rutland, Vermont. The college boasts a popular location, just 25 minutes from the world-recognized Killington Ski Resort. The New England Association of Schools and Colleges accredits the institution, which has been in operation since 1956. There are 28 different undergraduate degree programs, with the most popular majors in business, criminal justice, and education. In 2014, the school implemented a social media concentration and certificate program. The school operates a STEPS program (Students Taking an Effective Path to Success). This program is for youth transitioning out of foster care. The private Roman Catholic and Franciscan Lourdes University is located on sprawling greens that cover 113 acres in the suburbs of Sylvania, Ohio. The institution was founded in 1958, grounded in the vision of the Sisters of St. Francis of Sylvania. The school’s nursing program has been ranked but not published by the U.S. News and World Report; however, Princeton Review has named the university among its Best Midwest Colleges for the last ten years. GI Jobs Magazine named Lourdes a Military Friendly School in recent years. The school’s athletic teams are associated with the Wolverine-Hoosier Athletic Conference, and are members of the National Association of Intercollegiate Athletics. St. Vincent’s College is a private college affiliated with the Roman Catholic religion. The school promotes diversity and attracts students from neighboring towns and cities, as well as the Connecticut region. Students enroll at St. Vincent’s from as far away as New York, Michigan, and New Jersey, testifying to its reputation as one of the best Catholic colleges with a smaller student body. The State of Connecticut Board of Education licenses and accredits the institution, as well as the New England Association of Schools and Colleges. The school is considered to be a health career college and awards degrees in allied health, general studies, and nursing and radiologic sciences. The school’s mission is to be faithful to the teachings of the Catholic Church. Mount Saint Joseph University was established in 1920 by the Sisters of Charity of Cincinnati, and today is a private, Catholic, co-ed college. The college sits in a suburban area of Cincinnati, Ohio and is comprised of several buildings, including a sports complex, theatre, and residential halls. The student body is a mix of undergraduate and graduate students, participating in popular programs such as business administration, religious studies, and nursing. U.S. News and World Report ranks Mount Saint Joseph University 61st among the Best Regional Universities in the Midwest. Other programs ranking in U.S. News and World Report include the school’s nursing school and physical therapy department. The school has also been recognized for its online bachelor’s program. The University of Great Falls is a private Roman Catholic institution located in Great Falls, Montana. The school offers a rolling admission policy, where students may apply for admission at any time. The school recommends applying for admission at least one month prior to the first day of classes. Established in 1932, the school is accredited by the Northwest Association of Schools and Colleges, and operates under the Diocese of Great Falls – Billings. U.S. News and World Report ranks the University of Great Falls 22nd among the Best Regional Colleges in the West. The school’s programs implement the art of leadership, the value of prayer, and the importance of building long-term relationships. Quincy University is a private liberal arts college located in the small town of Quincy, Illinois. The school embraces a Catholic and Franciscan tradition, keeping its commitment to the Catholic faith through its programming. The Higher Learning Commission of the North Central Association of Colleges and Schools accredits the school, and maintains its connection to Catholic University of America. In 2015, U.S. News and World Report ranked Quincy University 69th among the Best Regional Universities in the Midwest. Franciscan friars founded the school in 1860, which today has a student population of approximately 1,500. Founded in 1886, Aquinas College is a small, affordable Catholic College that offers a liberal arts education to its student body. In 2015, U.S. News and World Report ranked Aquinas College as the 44th Best Regional University in the Midwest. The school was also named the 15th Best Value School because of its academic quality and net cost of attendance, with over 85 percent of students receiving need-based grants. Some of the most popular programs at Aquinas include majors in Accounting, Catholic Studies, Education, Nursing, and Pre-Law. The school was founded by the Dominican Sisters of Grand Rapids and boasts a deep-rooted Catholic heritage. Established in 1814, Spalding University is a private, co-ed university located in Louisville, Kentucky. The school is affiliated with the Sisters of Charity of Nazareth and is named after Mother Catherine Spalding, the founder of the Sisters. Spalding offers a School of Nursing, School of Occupational Therapy, School of Art, and two master’s degree programs in writing and business communication. The campus spans six acres of land within an urban setting. In 2015, U.S. News and World Report ranked the university 181st among all National Universities in the United States. U.S. News also ranked the school’s graduate programs as 69th for Occupational Therapy and 130th for Social Work. Located on a rural sixty-plus acre plot, Ancilla College is a small, two-year private liberal arts college founded by the Roman Catholic Church and the Poor Handmaids of Jesus Christ. The school admits both men and women, and once served as an extension of DePaul University. The bulk of Ancilla’s students come from the surrounding seven counties of Indiana, with a few from other areas in surrounding states. Ancilla has transfer agreements with fourteen colleges and universities in Indiana, and works to provide easy transitions from a two-year college to a four-year institution. The school is small in size and offers reduced class sizes that cultivate learning. Located in San Antonio, Texas, the independent Catholic co-educational Our Lady of the Lake University was founded in 1895 by the Sisters of the Divine Providence. The school was the first institution in San Antonio to acquire regional accreditation, and now offers 33 bachelor’s degrees, 14 master’s degrees, and two doctoral programs. The school was ranked 184th among the Best Colleges for High School Counselor Rankings by U.S. News and World Report in 2015. The school’s graduate programs have also been ranked. The Social Work program ranked 104th among Best Colleges, while the Speech-Language Pathology program ranked 154th among top colleges in the United States. Our Lady of the Lake also offers online programs. Founded in 1958 by the Sisters of Mercy, Trocaire College is a private, Catholic, career-oriented college located in Buffalo, New York. Through a vigorous and supportive educational experience powered by expert faculty and a caring environment, the college strives to empower its roughly 1,300 students toward personal enrichment, dignity and self-worth in the spirit of the Sisters of Mercy. Trocaire offers three bachelor’s degrees, 12 associate degrees and eight certificate programs in healthcare, business and technology. By offering a variety of service learning opportunities in addition to degrees in growing fields like nursing, healthcare informatics and hospitality management, Trocaire prepares its students for fulfilling, purposeful careers. Saint Joseph’s College in Rensselaer, Indiana covers a sprawling 180 acres of rural land. The Missionaries of the Precious Blood founded the college in 1889 in an effort to educate Native Americans living within the region at the time. The school is rich with history. The Chicago Bears, for instance, held their training camp on the grounds from 1944 to 1974. Today the college operates a coeducational, private Catholic institution that focuses attention on the liberal arts and Catholic tradition. U.S. News and World Report ranks Saint Joseph’s College 28th among the Best Regional Colleges in the Midwest. U.S. News and World Report also ranked Saint Joseph’s in 2015 as the 7th Best Value School. 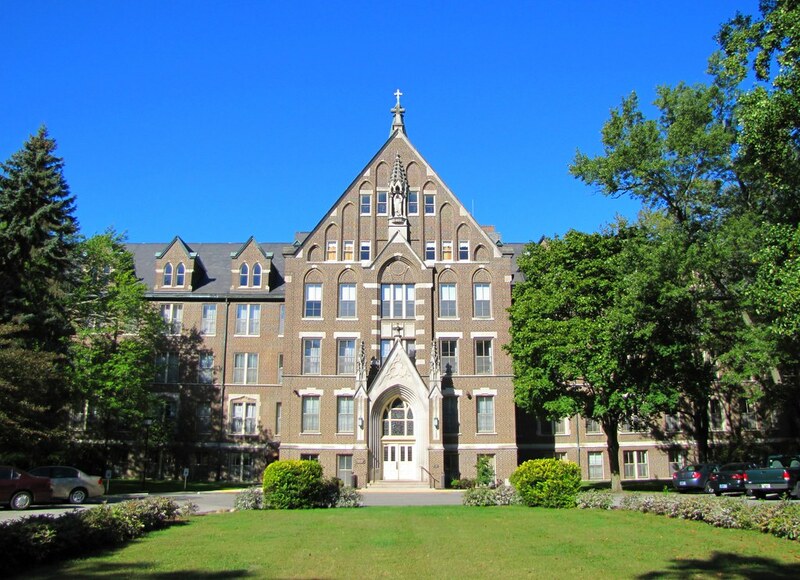 Saint Mary-of-the-Woods College was founded in 1840 and is a Roman Catholic four-year private liberal arts institution with a rich Catholic heritage. Saint Mother Theodore Guerin, a young woman who later became Indiana’s fist Saint, founded the school. Pope Benedict XVI canonized her in 2006. The Higher Learning Commission of the North Central Association of Colleges and Schools accredits the college. U.S. News and World Report ranks Saint Mary-of-the-Woods College 16th among the Best Regional Colleges in the Midwest. Other rankings from U.S. News in 2015 include the 5th Best College for Veterans, the 199th Best Online Bachelor’s Program, and the 81st Best Online Graduate Business Program. The University of Saint Mary in Leavenworth, Kansas is a private liberal arts college established in 1923. The school affiliation is Catholic, sponsored by the Sisters of Charity of Leavenworth. The university offers 26 bachelor’s degree programs and various master’s degrees. Sports are a large focus of the school, with its 14 varsity athletic teams. U.S. News and World Report ranked the school’s online MBA program 142nd among the Best Online MBA Programs. The school is co-ed and abides by the mission to educate its students to realize their God-given potential. The Princeton Review has named the school a Best Value School. Sacred Heart Major Seminary, a Catholic school associated with the Archdiocese of Detroit, is located in Detroit, Michigan. The school offers a two-year liberal arts and vocational degree, known as the Associate of Arts in Ministry, and two bachelor’s degree programs. The private institution is located along West Chicago Boulevard and is recognized by its Late Gothic Revival and Classical Revival architectural style. The school offers two ecclesiastical degrees, a Baccalaureate in Sacred Theology and a Licentiate in Sacred Theology. Both of the ecclesiastical degrees confer with Pontifical University of Saint Thomas Aquinas in Rome. The Roman Catholic, four-year private Alverno College was established in 1887 as St. Joseph’s Normal School, and later became Alverno Teachers’ College in the 1930s. Its current name was adopted in 1946. The school is affiliated with the Sisters of St. Francis and the Roman Catholic Church. In the 2015 U.S. News and World Report edition of Best Colleges, Alverno College ranked as the 69th Best Regional University in the Midwest. U.S. News also ranks Alverno College as the 4th Best Undergraduate College for Teaching and 129th Best Nursing School. The Princeton Review considers the school one of the most affordable and best value schools in the region. Silver Lake College of the Holy Family, located in Manitowoc, Wisconsin, is a Catholic liberal arts college offering four-year degrees. The college was not always co-ed, but began admitting women in 1957. By 1969, the college became coeducational and changed its name from Holy Family College to Silver Lake College of the Holy Family. Today, approximately 30 percent of the student body is male and 70 percent is female. The college’s athletic teams have participated in intercollegiate athletics for more than 25 years as members of the United States Collegiate Athletic Association (USCAA). Recreational sports are also available on campus. 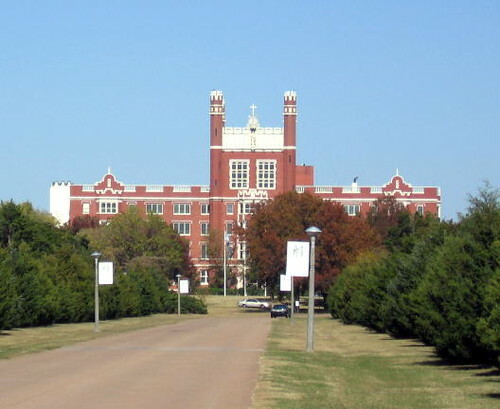 St. Gregory’s University is a private, coeducational Roman Catholic Benedictine college that is one of the oldest learning institutions in Oklahoma. The main campus is located in Shawnee, and a branch campus is located in Tulsa. The school’s undergraduate enrollment is approximately 633 students, with 43 percent male and 57 percent female. U.S. News and World Report ranks St. Gregory’s University 25th among Best Regional Colleges in the West. The school sits on an expansive 75-acre campus that is surrounded by over 600 acres belonging to St. Gregory’s Abbey. The Mabee-Gerrer Museum of Art is located on campus. The Sisters of Notre Dame de Namur established the Roman Catholic Trinity Washington University in 1897. Today the school is a private women’s college located in Washington, D.C. that sits across from the Catholic University of America and the Dominican House of Studies. The school is associated with numerous honor societies, including Phi Beta Kappa, Sigma Iota Rho, Beta Kappa Chi, and Lambda Pi Eta. While the school operates as a women’s liberal arts college, men are accepted into the undergraduate and graduate levels within the School of Education and School of Professional Studies. The school should not be confused with Trinity College in Connecticut, as it is unrelated. The Sisters of St. Francis established St. Joseph’s College of Nursing in 1889. Since opening its doors, more than 4,000 students have graduated from the school’s nursing programs. Adhering to the Christian belief in promoting achievement, both professionally and personally, the school’s mission is to raise up nurses to be compassionate, excellent, and reverent in the profession. The first graduating class from St. Joseph’s was in 1900. The school is fully accredited by the Accreditation Commission for Education in Nursing and the Middle States Commission on Higher Education. State approval has been received through the Professional Education Program Review and the University of the State of New York. Founded in 1871, the small liberal arts and Roman Catholic women’s college known as Ursuline College is located in Pepper Pike, Ohio, and is one of the oldest learning institutions for women in the United States. The campus sits just ten miles outside of Cleveland on beautifully landscaped grounds that house 12 educational buildings. 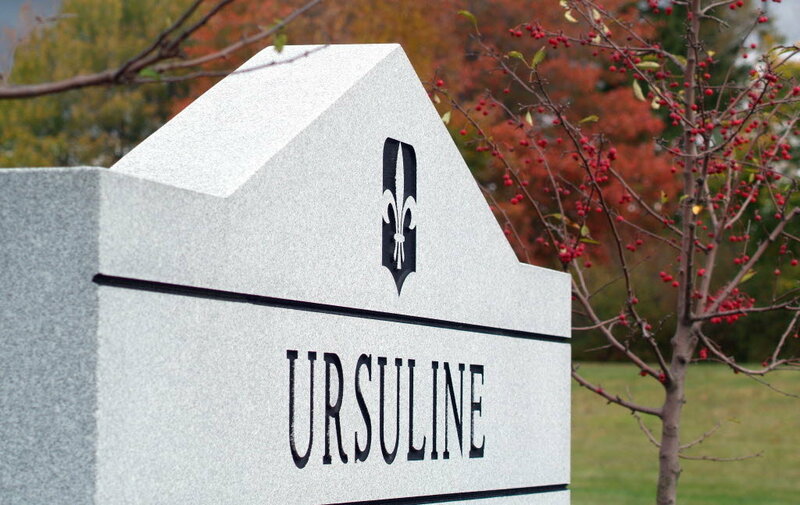 U.S. News and World Report ranks Ursuline College 54th among the Best Regional Universities in the Midwest. The school’s nursing program and online MBA program have been recognized by U.S. News as among the best programs of their kind. Ursuline’s athletic teams participate as members of the National Collegiate Athletic Association’s Division II. Hilbert College was founded in 1957 as a training institution for teachers. The school is named after Mother Collette Hilbert of the Franciscan Sisters of Saint Joseph and today operates as a private Franciscan college in Hamburg, New York. Hilbert offers sixteen bachelor’s degree programs, including computer security, forensic science, information assurance, and psychology. The school offers New York’s first undergraduate rehabilitation services program. In 2011, the school began offering a master’s degree program in Criminal Justice and Public Administration. Hilbert is recognized as being one of the least expensive private colleges in New York, where a full assortment of financial aid options are available. 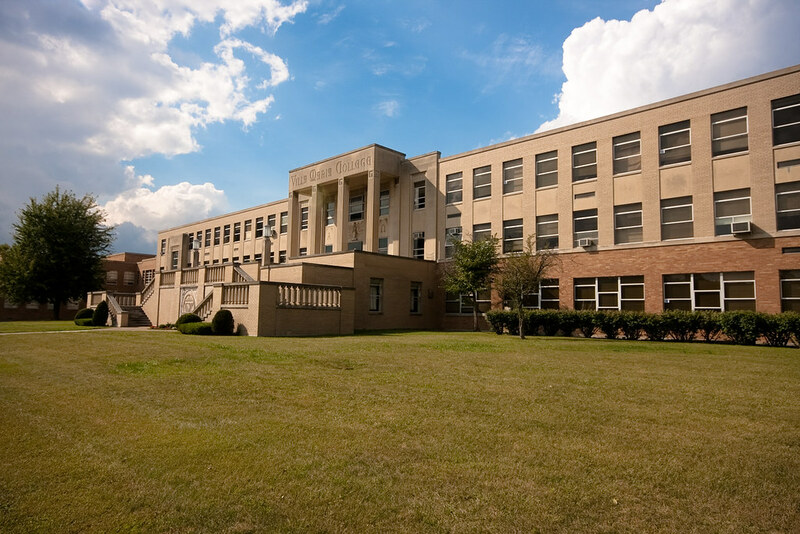 Our Lady of the Lake College is a private Catholic school located in Baton Rouge, Louisiana. The school maintains its Catholic roots that date back to 1923 when the school was used to serve and educate health care providers. Today, the school is fully accredited by the Southern Association of Colleges and Schools and offers a variety of degrees from associate’s to doctoral. The most popular degree programs are health sciences and nursing. In the 1990s the school became registered with the Louisiana Secretary of State and the Louisiana Board of Regents. Our Lady of the Lake is considered one of the more affordable Catholic schools in the country. Trocaire University was originally listed at #16, but has been relocated to #28 based on new data received after the date of publication. Mercyhurst University North East Campus was established in 1991 and today operates as a Catholic liberal arts college located in North East, Pennsylvania. The campus is a branch of Mercyhurst University in Erie, Pennsylvania. Approximately 1,000 students either reside or commute to the North East campus. The school offers associate’s degrees and certificate programs. The most popular associate’s degrees include Business Administration, Computer Systems Support, Culinary Arts, Nursing, and Physical Therapist Assistant Program. The athletic teams participate in 16 National Junior College Athletic Association sports. The Middle States Commission on Higher Education accredits the school and various programs. Mount Mary University was founded in 1913 by the School Sisters of Notre Dame and was the first four-year Catholic women’s college. The school is a private, not-for-profit, liberal arts college located on eighty acres in Milwaukee, Wisconsin. Mount Mary offers bachelor’s degrees in over thirty majors. Eight master’s degree programs and select doctoral degrees are offered on campus. U.S. News and World Report ranks Mount Mary University 91st among the Best Regional Universities in the Midwest of 2015. The school is ranked 33rd for Best Colleges for Veterans and 100th for the Best Grad Schools – Occupational Therapy program by U.S. News. Villa Maria College is a small private Roman Catholic college that emphasizes a liberal arts education while staying true to the Diocese of Buffalo. The Felician Sisters founded the school in 1961 for sisters in education as a teacher-training center. It was founded as an affiliate of the Catholic University of America. The school offers bachelor’s and associate’s degrees in arts, business, and the sciences. Some of the most popular programs at Villa Maria College include Graphic Design, Music Industry, Photography, and Physical Therapy Assistant. The Middle States Association of Colleges and Schools accredits the institution. Villa Maria is a member of the Western New York Consortium of Higher Education. Marygrove College is a private liberal arts college founded in 1905 and sponsored by Sisters, Servants of the Immaculate Heart of Mary. U.S. News and World Report ranked the school among the Best Regional Universities in the Midwest, but the ranking was not published. The North Central Association Higher Learning Commission, the Michigan State Department of Education, and the Council of Social Work Education accredit Marygrove. The school offers a variety of bachelor’s and master’s degree programs, including twenty certifications. The college is a member of the National Association of Intercollegiate Athletics. 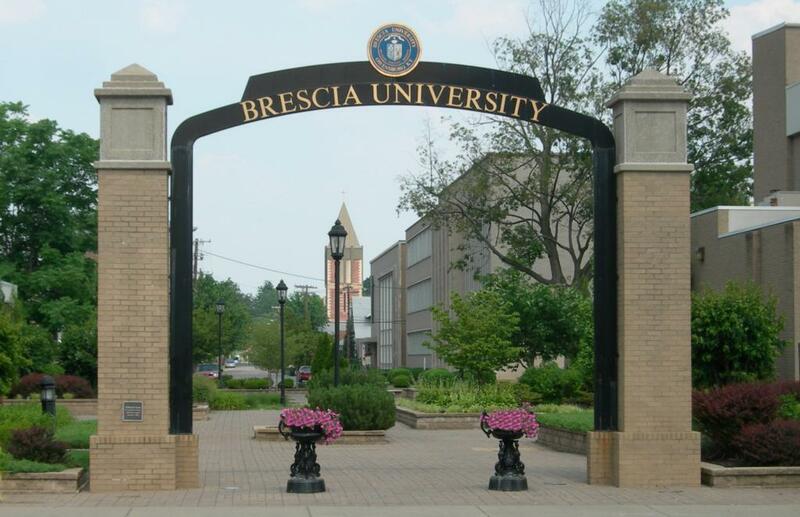 Brescia University is a private coeducational Catholic school located in Owensboro, Kentucky. Once founded as a junior college for women, today the school is a co-ed university that offers undergraduate and master’s degree programs. U.S. News and World Report ranks Brescia 43rd in the Best Regional Colleges in the South. The school offers affordable degree programs, both online and on-campus. U.S. News and World Report also ranks Brescia 153rd among Best Online Bachelor’s Programs. The college traces its roots back to 1925 when the Ursuline Sisters of Mount Saint Joseph founded it. The school is a member of the National Association of Intercollegiate Athletics (NAIA). Christian Brothers University, founded in 1871, is the oldest degree-granting college in Memphis, Tennessee. The school is a private Catholic university, with origins that trace back to St. John Baptist de la Salle, a priest and educational innovator. The school sits central to Midtown Memphis, on 76 acres of land, near Liberty Bowl Memorial Stadium. U.S. News and World Report ranked Christian Brothers University 26th among the Best Regional Universities in the South. U.S. News and World Report also ranked Christian Brothers the 7th Best Value School in the nation in 2015. The student body is considered to be one of the most diverse in the South according to a U.S. News and World Report in 2008. Calumet College of Saint Joseph, founded in 1951, is a private Catholic college affiliated with the Roman Catholic Church and the Missionaries of the Precious Blood. 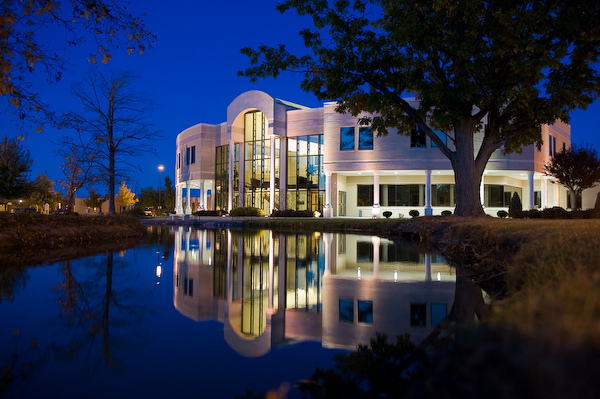 The main campus is located in Whiting, Indiana, with several branch campuses scattered throughout Chicago and Merrillville. Calumet College offers associate’s, bachelor’s, and master’s degrees, as well as various certifications for professional vocations and fields. The most popular programs at Calumet College of Saint Joseph include business administration, criminal justice, education, and psychology. The core curriculum includes emphasis on ethics and social justice in accordance with the institution’s founding fathers, the Missionaries of the Precious Blood. Founded in 1956, Holy Apostles College and Seminary was originally formed to provide education and formation for men intending to enter the Roman Catholic Church’s order of priesthood. After approximately sixteen years of service, the school shifted its responsibilities to embrace the entire Christian community and began admitting women and non-seminarians. Connecticut Board of Regents for Higher Education and the New England Association of Schools and Colleges accredit the institution. The school offers a number of academic disciplines, with heavy focus on Philosophy and Theology. Curriculum is liberal arts-based, and students are required to take certain classes no matter the major of focus. Our Lady of Holy Cross College is a private liberal arts college with Roman Catholic ties through the Marianites of Holy Cross. The original location of the school was in the Bywater region of New Orleans, but the school relocated across the river in 1960. Class sizes are kept small in an effort to provide intimate learning environments and personalized educational experiences for the student body. The Southern Association of Colleges and Schools Commission on Colleges accredits the college to award associate’s, bachelor’s, and master’s degrees. 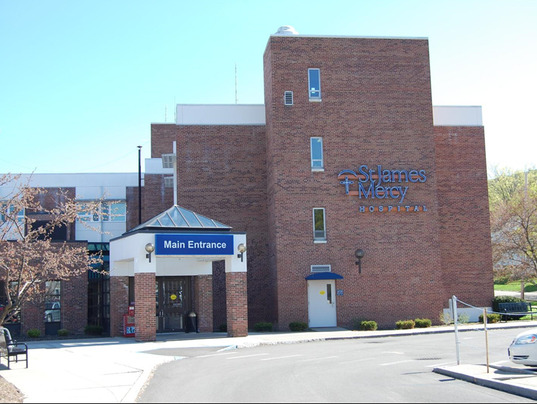 The private, not-for-profit St. James Mercy Hospital School of Radiologic Science is affiliated with the St. James Mercy Hospital, and located in Mid East Town in Hornell, New York. The school enables students to become certified in a specific area of healthcare – radiologic science. The school embraces the core values and mission of the hospital as part of its educational program. U.S. News and World Report considers St. James Mercy School a Best Value School. The radiologic program is highly competitive and provides its students with the necessary skills and training for formal career placement. There is no on-campus housing available to undergraduates or graduates, but prospective students will appreciate that St. James is among the cheapest catholic colleges out there. Chatfield College, located in St. Martin, Ohio, is a two-year, co-educational college that offers liberal arts study and grants associate’s degrees in various programs. Founded in 1971, Chatfield College is named in honor of the Sister Julia Chatfield and today maintains its Catholic heritage and ties. The Higher Learning Commission of the North Central Association of Colleges and Schools accredits the institution. While the majority of degrees issued are associate’s degrees, Chatfield offers opportunities to obtain bachelor’s degrees in various programs. Less than 1,000 undergraduates attend the school. Chatfield boasts small class sizes in an effort to provide personalized studies and intimate learning environments. Donnelly College is a small coeducational institution located in the heart of Kansas City, Kansas. While the college dates back to 1949 when it was established to provide a Catholic education for urban immigrants and the working class, it wasn’t until the year 2000 that it launched its first bachelor’s degree program. Today the college offers associate’s and bachelor’s degrees, English as a Second Language (ESL), and numerous healthcare certifications. The Higher Learning Commission of NCA accredits Donnelly College. The school maintains memberships with the Kansas Independent College Association and the National Council of Independent Colleges. Recognized as a Best Value School by Princeton Review and U.S. News and World Report, Universidad Central de Bayamon, or Bayamon Central University, is a private Catholic and non-profit institution located in the suburban area of Bayamon, Puerto Rico. The school was founded in 1961 as a community college of Pontifical Catholic University of Puerto Rico, but Bayamon became independent from the university in 1970. The Council of Higher Education of Puerto Rico, Middle States Association of Colleges and Schools, and the Congregation for Catholic Education accredit the university. The most popular areas of study at Bayamon include Business, Engineering, and Spanish. Pontifical Catholic University of Puerto Rico in Arecibo, Puerto Rico is a Catholic faith-based school that promotes higher learning while maintaining Catholic roots and beliefs. The campus is affiliated by the Holy See of Rome, which promises Catholic experiences rich with values and morals reflective of the Church. The college offers an open admissions policy, encouraging a diverse student body. While keeping tuition and fee costs low, the university also offers a comprehensive financial aid program that provides tuition breaks for students who demonstrate need. The most popular academics at Pontifical Catholic University include Criminology, Elementary Education, and Science Technology. Students searching for an affordable top Catholic college will want to take a good look at Pontifical. The establishment of Divine Word College dates back to 1875 under the Roman Catholic order of The Society of the Divine Word. Today the college operates as an undergraduate Roman Catholic seminary that aims to provide educational services to students preparing for missionary service in the Catholic Church. Three bachelor’s degree programs are available. The campus is located in the rural area of Epworth, near Dubuque. The Higher Learning Commission of the North Central Association of Colleges and Schools accredits the college. Divine Word College is the only Roman Catholic seminary school in the United States that is dedicated to training students for Catholic missionary programs and service. Add to that the fact that it is also among the cheapest Catholic colleges, and Divine Word’s unique appeal becomes clear. The school maintains affiliation and membership with the Association of American Colleges and Universities, the Association of Catholic Colleges and Universities, and the National Association of College and University Business Officers.